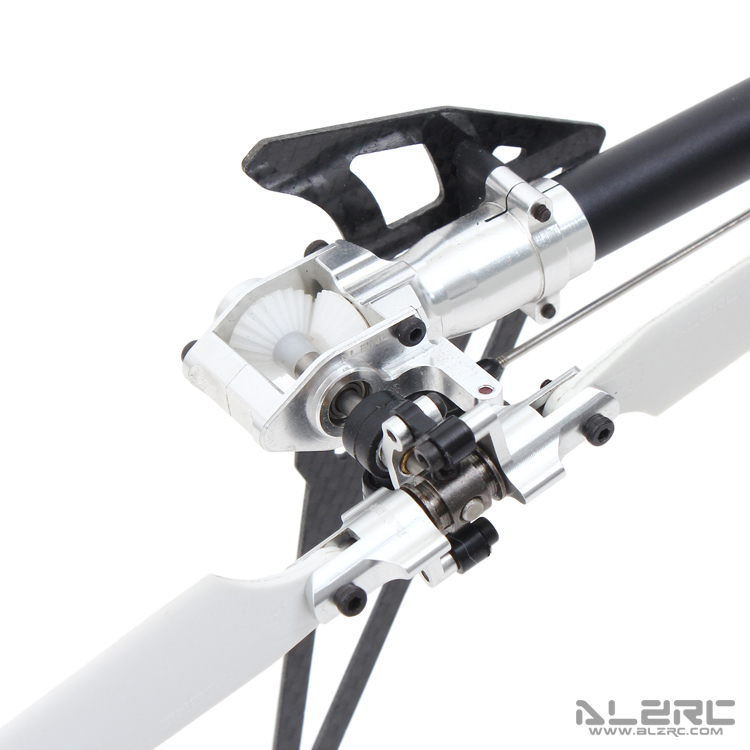 ●Newly improved low wind resistance specialized flybarless rotor head assembly, with reduced distance between rotor head and frame, effectively lowering the CG for better 3D performance. 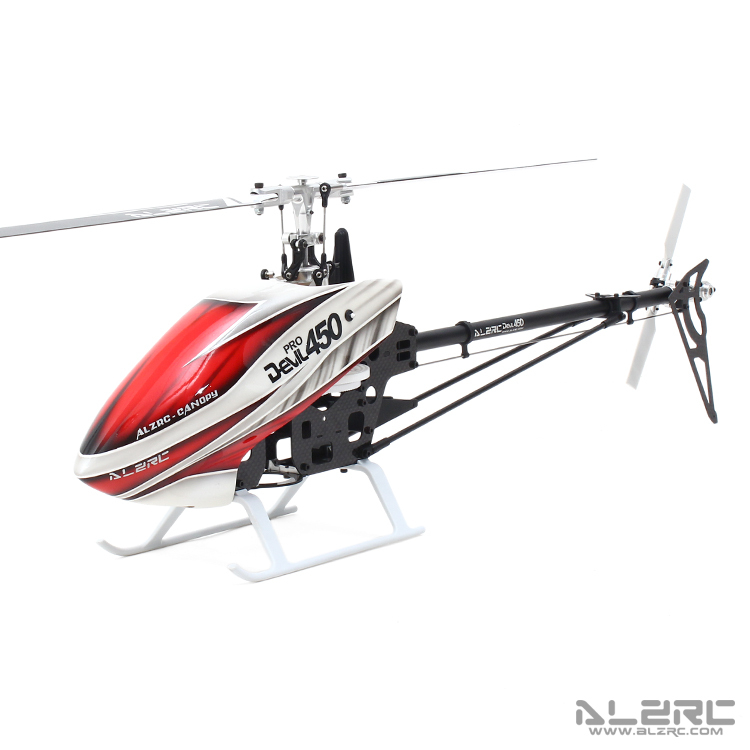 ●Improved side frame design, with dedicated Gyro mounting location. Gyro can be placed in between frames, or behind anti-rotation guide, resulting in clean wire management and improved aesthetics. 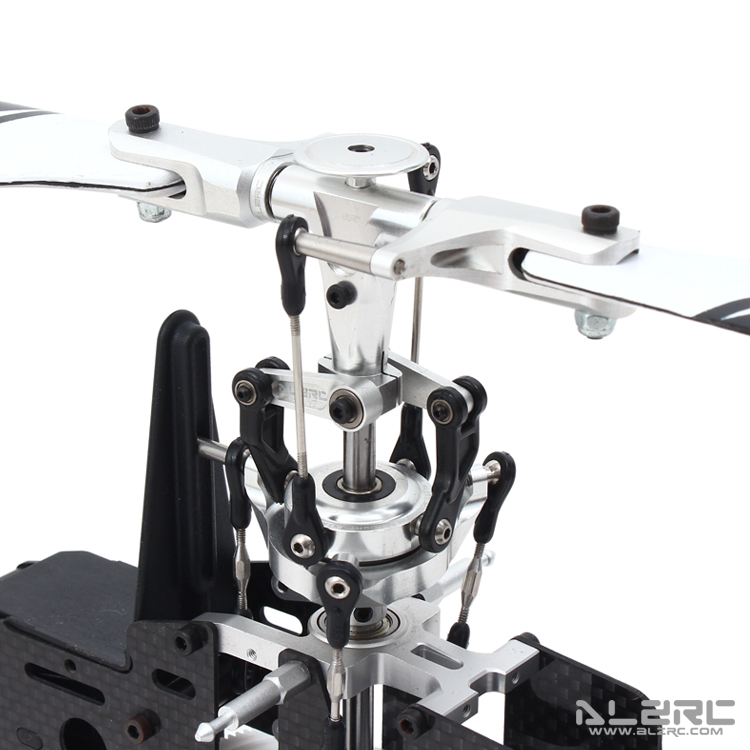 ●Unibody main shaft and servo mount, with modified side frame connecting points, simplifying servo replacement and improving ease of maintenance. ●Longer battery mounting plate with integrated ESC mount. 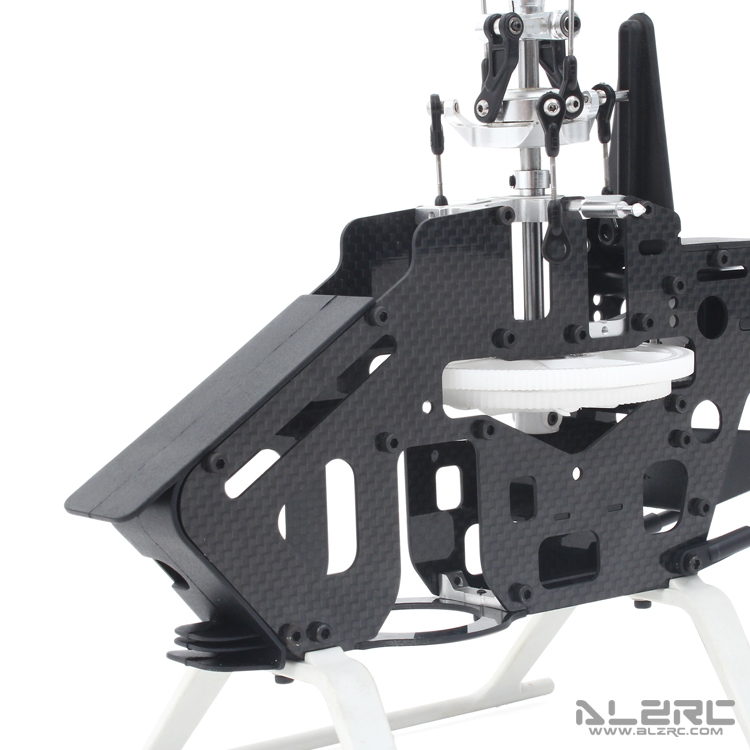 Not only is the battery mount more rigid, the battery can be shifted based on its dimension for better CG. In addition, the screw count has been reduced to minimize assembly and maintenance time. 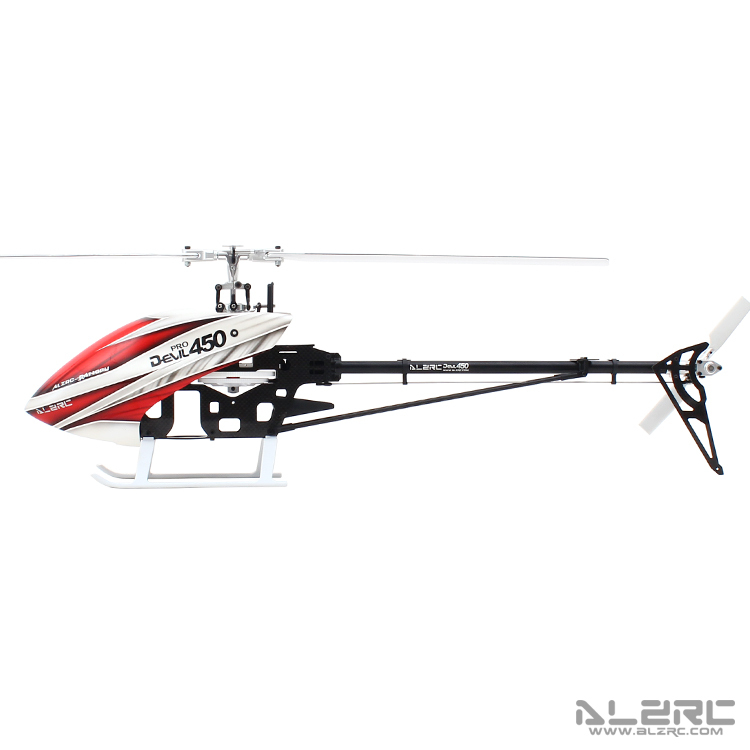 ●High efficiency tail shaft drive design, dramatically reduce power loss associated with belt driven system, and at the same time increase power output. ●Vertical rudder servo mount design moving the CG closer to center, improving agility during 3D maneuvers. ●Unique opposing weighted tail blade grips effectively increase rudder and gyro performance, for superior tail locking and higher precision. ●The new shape and flow line style painting fugelage canopy.